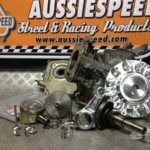 When increasing the performance of any engine there are parts that are required to increase power & safety Aussiespeed Small Engine Performance offer build your own engine kits that include parts required to build your performance small engine. New engine block & side cover. side plate bolts, seals & bearing. 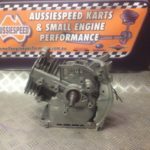 new crankshaft, bearings, crankshaft gear & keyways. 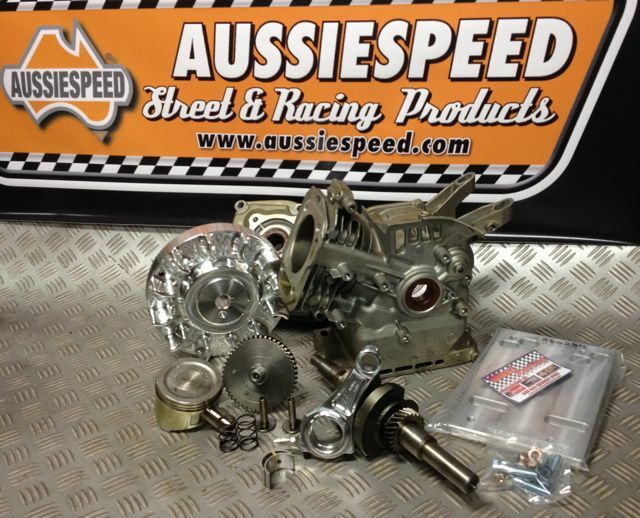 AussieSpeed Evil Stick Camshaft stage 2 or stage 3, lifters & matching valve springs. cnc machined billet aluminum conrod & bearing. Piston, rings,pin & retaining clip. 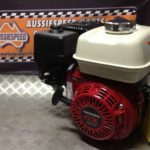 This is an ideal upgrade or alternative to rebuilding your old engine. 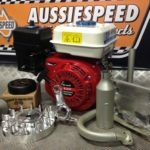 This short block kit is supplied unassembled for the DIY engine builder.